We’re Always Welcoming New Patients in St. Louis! We’re committed to helping you achieve a beautiful smile! The American Association of Orthodontists recommends that children see an orthodontist when they are 7 years old. 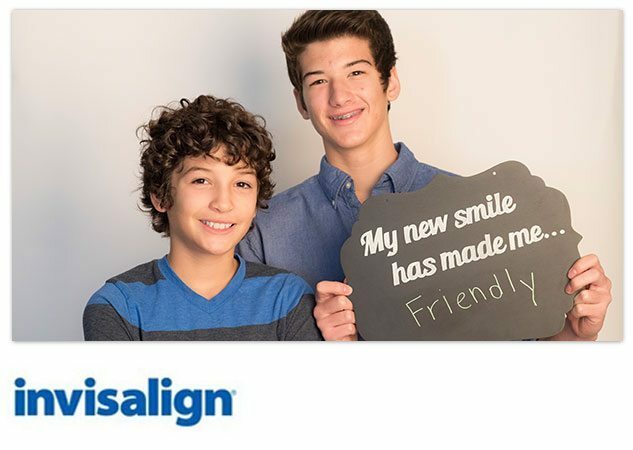 This first free appointment allows Cardinal Orthodontics of St. Louis to work with your child’s unique growth timeline and to choose the best time to begin treatment whether it be braces or Invisalign. But, it is never too late to receive our affordable orthodontic treatment! Orthodontics can benefit people of all ages including teens and adults. New cosmetic treatment options have made adult orthodontics, including adult braces and Invisalign, much more desirable. It’s never too late to achieve the smile you have always dreamed of! There is no charge for your first exam appointment! We will take any necessary x-rays, digital photographs, and perform a thorough examination of your smile all at no charge to you. To help make sure your first appointment runs on time, and to provide necessary information about your treatment and insurance we’ll have you fill out all introductory paperwork prior to your exam. To get your patient login information for the online Patient Portal, please call our office at 314.962.6242 or send us an email at info@cardinalorthodontics.com. Discuss your individual needs and answer any questions. Explain your treatment options – metal or clear braces, Invisalign, and all other options. Review your recommended treatment plan and treatment timeline estimate. Inform you of the available fee and payment options and help you with your insurance questions and filing. Cardinal Orthodontics is committed to providing affordable orthodontic treatment options. Personalized monthly payment plan can be arranged with no interest or carrying charge. If full payment is made at the onset of orthodontic treatment, we will offer a 10% fee discount. If you have insurance, we will offer a discount for payment of your portion of the fee that will not be covered by insurance. Financial arrangements can be made to extend your payments up to a year after the estimated treatment time. If you have insurance to cover braces or Invisalign, our office will accept assignment of benefits from your insurance company directly, minimizing your out-of-pocket expenses. Prior to your first appointment, we will be happy to call your insurance company to verify the coverage you have available for braces or Invisalign treatment. We will assist you with filing your claims, filling out any necessary paperwork, and handle insurance questions on your behalf. Contact Cardinal Orthodontics today to learn about how we can help you achieve your smile goals!